This book is for everyone who works and deals with, talks to and guides actors in film, tv or on stage. It will give you the essential essence of how to approach an actor as director in many different situations. This knowledge coming out of this wonderful book builds my solid foundation regarding directing actors. A big recommendation for everyone interested in directing and acting. Tom's latest stage performance as Reverend Dearborn in the play The Dark Eyes of London ended this April successfully in Vienna. This was the last production of the Edgar Wallace trilogy produced by Unser Theater. 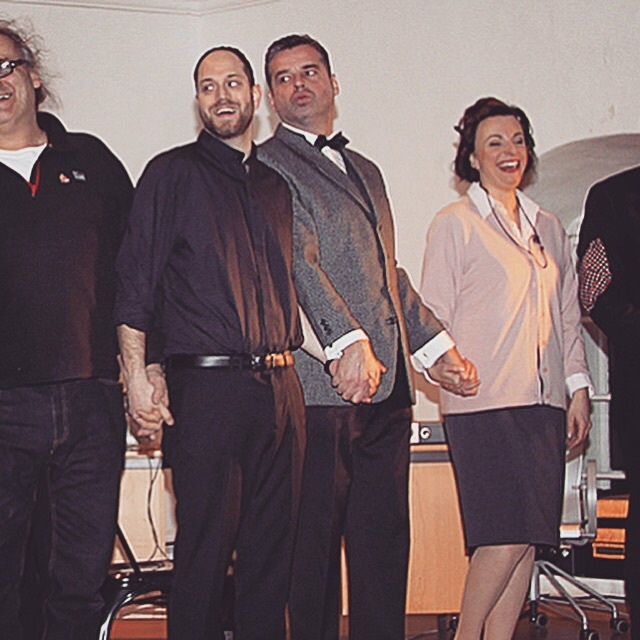 Tom started with the team of 'Unser Theater' rehearsing for the play 'The Indian Scarf'. Tom works as actor and co-director in this production. The premiere will be held on July 23rd in Vienna. Tom worked in co-operation with creative agency DiePlantage for a music video for german rock band Freiraum5. Tom reviews the last filmed takes on the set of Freiraum5 music video. Tom had an amazing, adventurous time, when he was locked in with great Ursula Schmitz, a viennese photographer, in an extraordinary hotel room in the heart of Vienna. See the result below. Tom directs the stage play 'The Terror' by Edgar Wallace (in german), who is currently in rehearsals for this piece in Vienna, which celebrates its first ever austrian premiere this new year's eve. One good idea is sometimes enough to create and film a commercial spec spot with a bunch of talented and professionals on a hot summer day at a bar. You couldn't tell by its energy on the set if there almost where n't any significant limitations on the budget or not! We just know it was worth it! Can't wait for the final result! Tom produced in co-production with jan, this Puls 4 NFL TV promo ad which is winner of the PromaxBDA Europe Award 2014 in gold. Congratulations to our great team!